Has anyone ever told you that if you keep digging you’ll eventually end up on the opposite side of the world? This Antipodes mapping web-app shows you exactly where you’d end up! 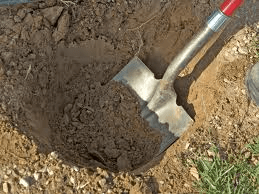 When I was growing up, my grandpa used to joke around that if I dug a whole in the yard and kept going I’d eventually reach China. I never tested out that theory…. but it’s been in the back of my mind ever since. Well, until now. Antipodes Map is a groovy Google Mapping algorithm that lets you see the exact opposite of your relative location on Earth. Or in other words if you dug a hole straight down through the center, this is where you would end up. 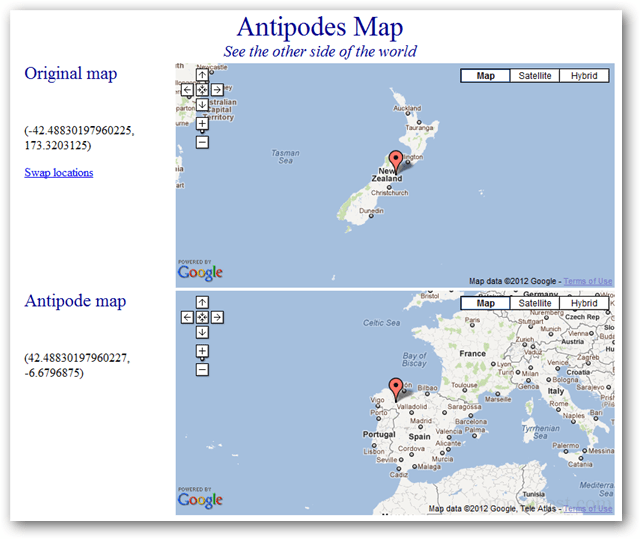 To use the Antipodes Map just drag around the top map to any location you like. The market will automatically center itself on the map screen. The bottom map will also automatically update to show you your opposite location. It’s a simple web app powered by Google Maps, but it’s fun and educational. The next time someone makes a joke about digging too far down and ending up in China, you’ll be ready to give them a geography lesson.